A high quality, water-resistant, waterbased frame sealant with good adhesion to most building materials. Easy to clean, flexible joint filler which can be over painted, stained or varnished for colour matching purposes. CE Approved: Conforms to EN15651-1; F EXT-INT. 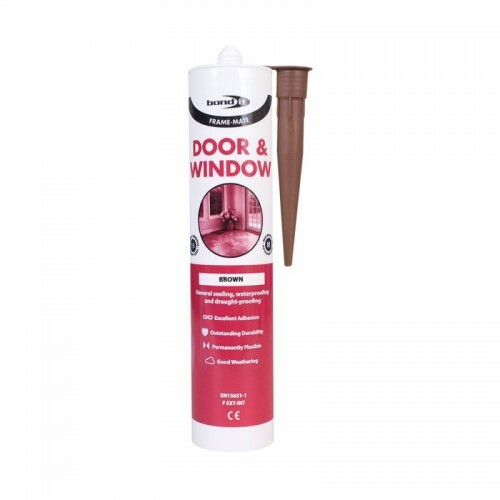 Suitable for sealing around door and window frames and soffit boards with limited movement. It can also be used for filling cracks and joints with low movement. It is ideal for use on: wood, concrete, brick, natural stone, artificial stone and most common building materials. Note: Not suitable for uPVC.